Secrets Maroma Beach Riviera Cancun All inclusive Playa del Carmen. The beach of this resort was considered one of the top 5 best beaches in the world in 2010. The hotel has earned the prestigious AAA Five Diamond Award for 2014 and 2015. Simply step outside to unwind on the resort's beach. 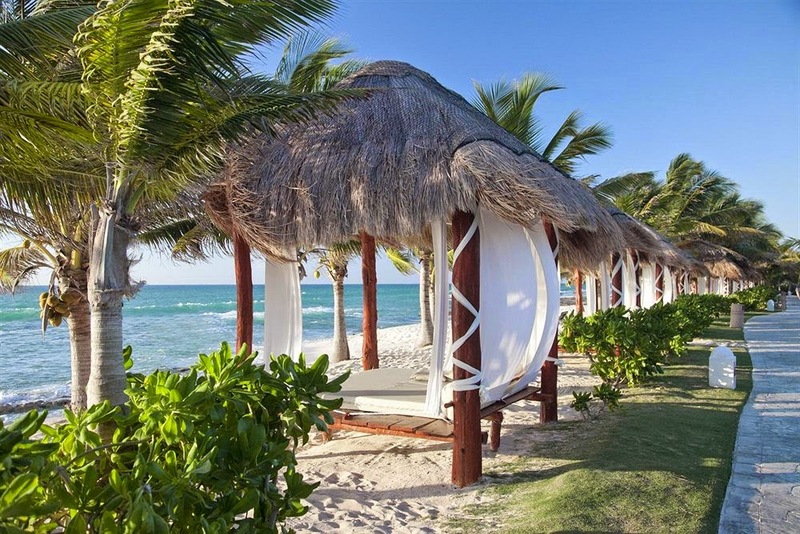 At Secrets Maroma Beach Riviera Cancun All Inclusive, pamper yourself with a treatment at the full-service spa or have fun in the sun with activities like snorkeling and scuba diving. Read More. 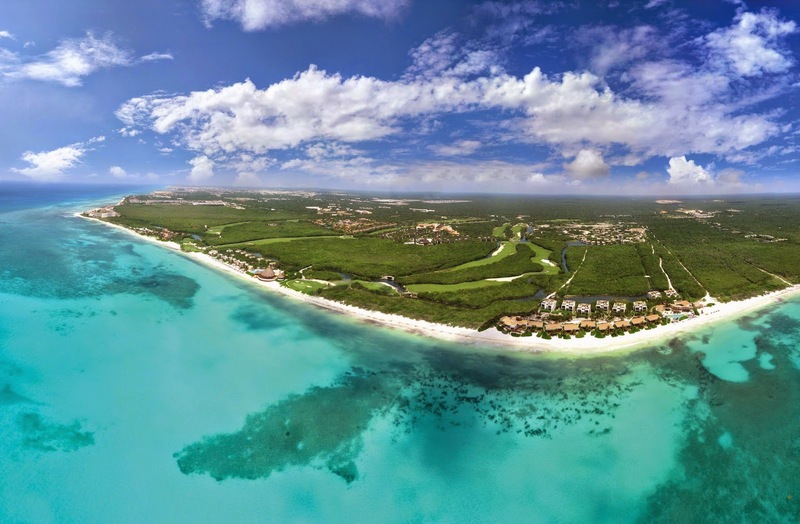 Blue Diamond Riviera Maya All Inclusive Resort Playa del Carmen. Enjoy the umbrellas and sun loungers for a relaxing day at the beach. Pamper yourself with a treatment at the full-service spa and enjoy amenities at Blue Diamond Riviera Maya - All Inclusive Resort like an outdoor pool and an indoor pool. 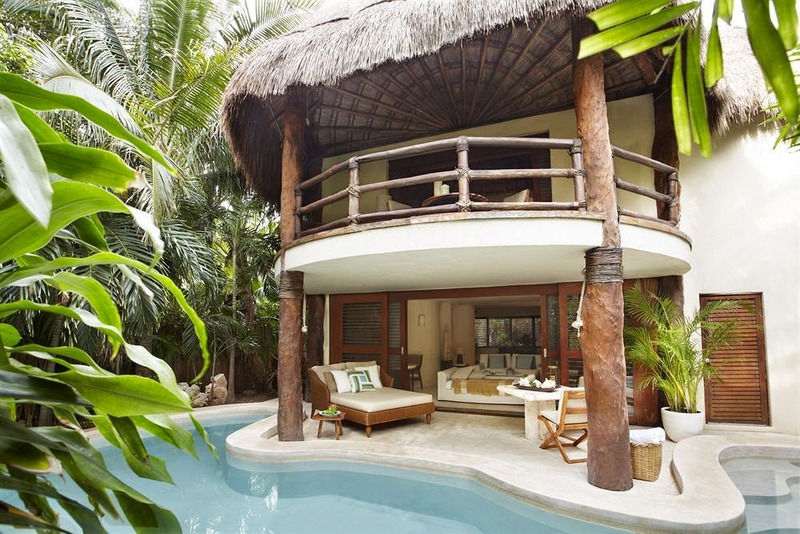 Unique style and luxurious suites with ocean view. Read More. Viceroy Riviera Maya Playa del Carmen. Simply walk outside to smell the salt air and watch the ocean waves from the white sand beach. Hit the beach and work on your tan in the sun loungers (chaise longues) or relax in the shade with complimentary cabanas and umbrellas. Pamper yourself with a treatment at the full-service spa. Read More. El Dorado Royale A Spa Resort by Karisma All Inclusive Puerto Morelos. 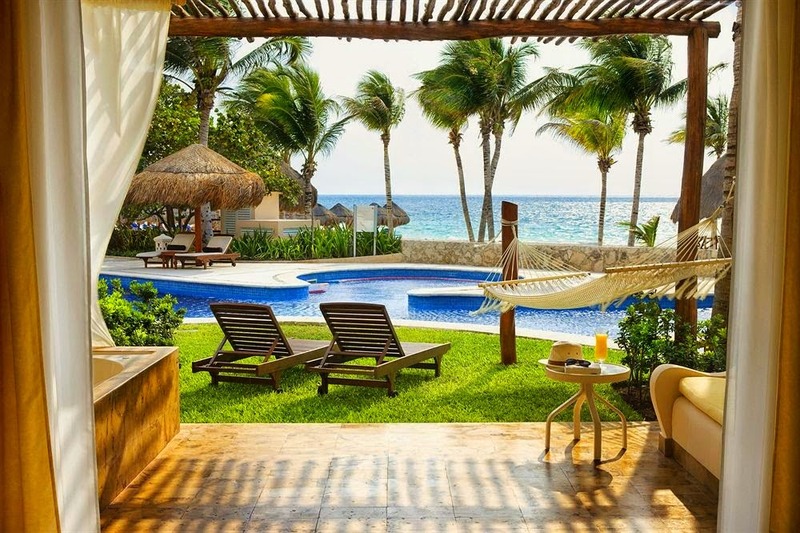 Voted one of Conde Nast travelers Top 100 Hotels in the world, El Dorado Royale, a Spa Resort, by Karisma is Mexicos premier adults-only, beachfront resort where couples, wedding parties and honeymooners savor a Gourmet Inclusive experience, a vacation that fosters togetherness. Luxuriously romantic, stretching along a secluded beach, the resort provides indulgences from gourmet cuisine, to swim-up suites, to a lavish spa and concierge service. Read More. 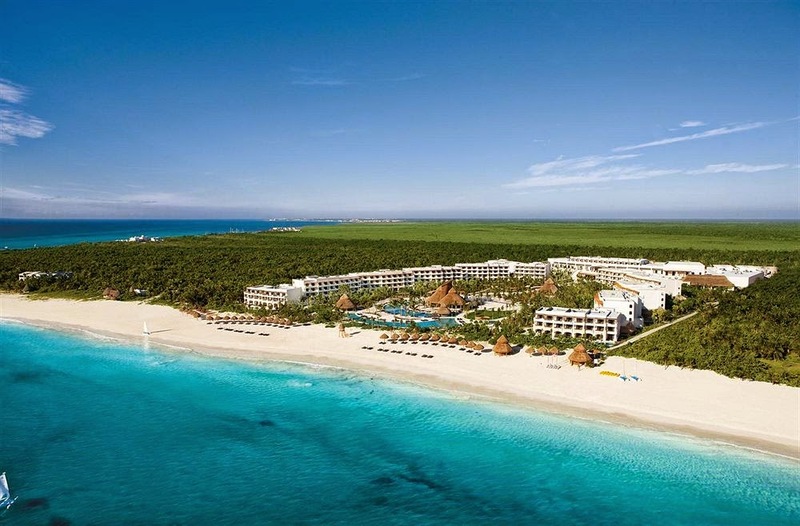 Excellence Riviera Cancun Adults Only All Inclusive Puerto Morelos. 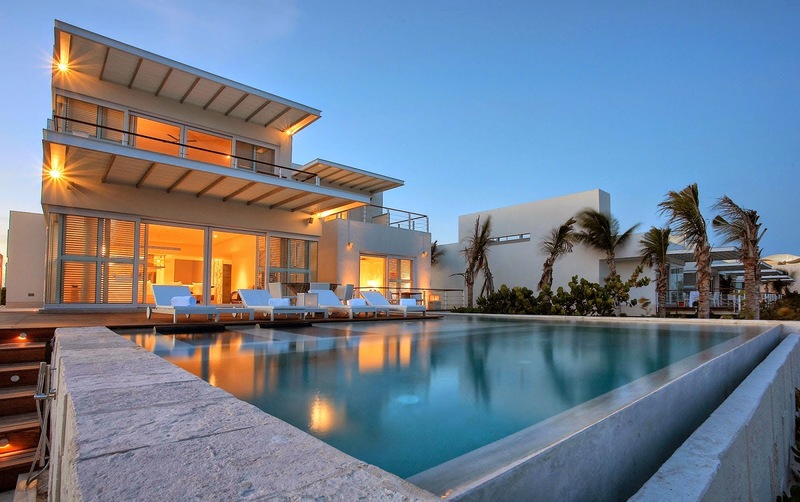 The hotel is located on a stretch of white-sand beach three kilometers from Puerto Morelos. Guest staying at the hotel will enjoy 24-hour inclusive service that includes meeting facilities, full service business center, beauty salon, wedding and honeymoon services. The resort features 6 outdoor swimming pools. Whirlpools allow guests to lie in warm shallow mineral water while water jets penetrate the skin, and complimentary pool cabanas. Read More.